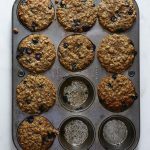 Bursting with blueberries, these muffins have been tested on adults and kids and I have yet to find anyone who doesn't love them. Enjoy and share them with your special loved ones! 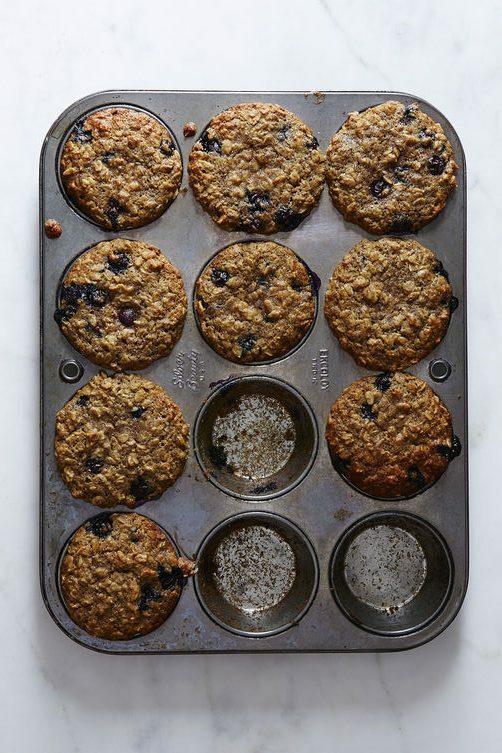 Heat the oven to 180 degrees C and line 1 standard-sized muffin pan with paper liners. In a separate bowl, mix together the remaining ingredients (wet) but not the blueberries. Mix together the dry and wet ingredients until just combined, and then fold in the blueberries. Spoon the batter into the muffins cups, filling each cup right up to the top, and bake the muffins for 30-35 minutes, until a toothpick inserted into the center comes out clean. Cool in the pans for 5 minutes, then turn out onto a rack and cool completely before serving. This is a modified version of the original from Megan Telpner, Academy of Culinary Nutrition.